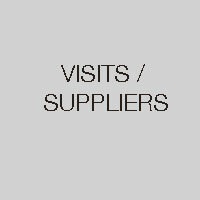 Visits are arranged to showrooms such as The Material Lab, Vitra, Casina, Ashburnham Joinery, Viabizzuno lighting, Bulthaup Kitchens, C P Hart Bathrooms, and many more. Suppliers also visit the school to update the library and give CPD talks on product knowledge. Within the freehand drawing and history classes there are visits arranged to the V& A Museum, Sir John Soane Museum, Apsley House, Hampton Court and a variety more.